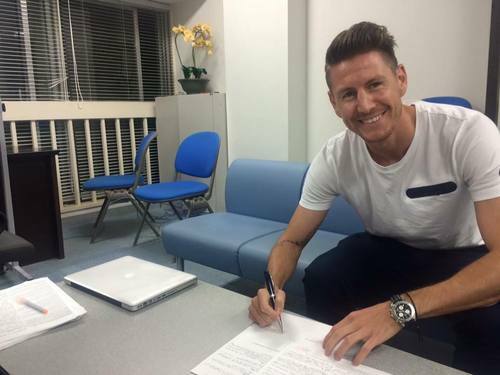 It has been about a year now since Nathan had signed with FC Tokyo. Very honoured to work with such a talented player. Had his ups and downs but have worked his way into the team and getting regular starts these days. Two factors why I think he has been able to play in Japan. Has different qualities compared to Japanese players. The second one is being respectful to Japanese football and the people surrounding it and generally being a top bloke!! Also huge appreciation goes out to FC Tokyo for being the first club in Japan to take our player. Congratulations on your first full 90 for this season and the 3 points!